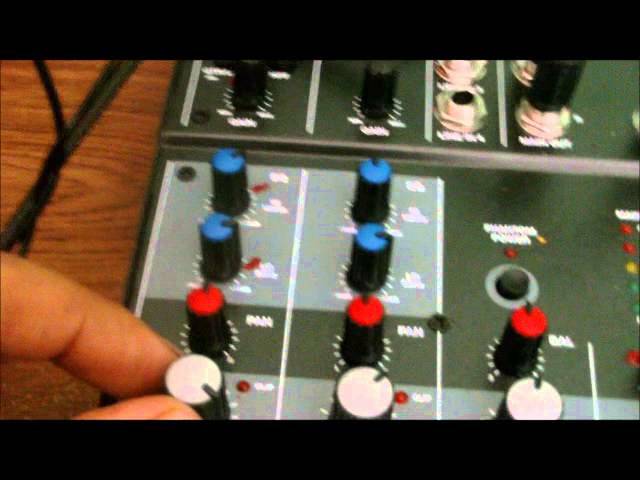 This video features the Alesis MultiMix4 USB mixer. Using adapters and a few cables you can configure it to work with your laptop or desktop Windows OS audio cards to bring in audio from a VOIP phone system like Skype or using web-based flash phones for conference lines like freeconferencecallHD. This set up should work with any USB mixer. 1. Computer with plenty of ram and processing speed. For an example, computers made for internet game play like Call Of Duty & other popular X box games that can be played on a desktop or lap top. I am about to purchase this refurbished model for less than $300. Refurbished HP 8200 Desktop PC with Intel Core i5 Processor, 8GB Memory, 2TB Hard Drive and Windows 10 Pro (Monitor Not Included. 3. Depending on how many mics you want to eventually hook up to your mixer, I recommend the Alesis MultiMix 4 (2 Mics) or Multimix 8 (4 Mics). 5. You need a ¼ inch pair of headsets. If you have more than one mic you need more headsets. Audio-Technica ATH-M20x Closed-back Monitor Headphones. 6. If you plan to use more than one headset you will need an adapter to accomadate them because there is only one port on the mixer for headsets. Behringer Microamp Ha400 Ultra-Compact 4-Channel Stereo Headphone Amplifier. 7. 1 Hosa 3.5mm Male TRS to 1/4in Male TRS Stereo Interconnect Patch Cable 3 ft. Check or money orders made out to Black Talk Media Project, PO Box 65, Mount Holly, NC 28120. We also provide digital radio streams and you can manage your own digital radio station.